The bale sizes are customisable. We are known as the reputed organization in this field, engaged in offering an excellent quality Screw Conveyors. The offered conveyors are manufactured by utilizing the finest quality components and highly advanced techniques under our deft professionals' guidance. Our offered conveyors are widely demanded in both horizontal as well as vertical applications for easy material handling. Moreover, these conveyors are available with us in several technical specifications. 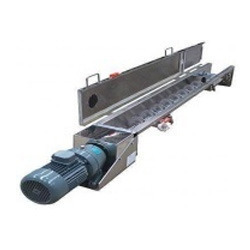 • Screw conveyors available in size form 100mm daimetre to 1250mm daimetre in verable pitch form mild steels & stainless steels with hard faceing .